A More Successful Spouse; Good or Bad? In relationships, we wholeheartedly want our spouses to be successful, but how successful do we really want them? As a man would you want your woman to be more successful than you? And as a woman would you be able to cope with having more money than your man? There is this hierarchy in the home that traditionally places the man as the head of the family however with modern day feminism and need for women, as individuals, to aspire to become who they want to be and be in control of their lives, this traditional expectation is being threatened. This episode of The TYs Show tries to put this problem in the spotlight, looking at it from all angles while leaving viewers to discover their stand and make up their mind going forward on how best to handle this problem which seems to be one major reason for increase in divorce rate. One of the major reasons for crisis at homes and/or in marriages is assigning roles and responsibilities. Society has taught us what a man should do at home and what he should not do (same goes for women). Who should ‘win the bread’ for the family? Our society has taught us that it is the responsibility of the man to provide all that the family needs to survive, but like I always say the best person to tell you how a product will work best is the manufacturer (every other person will only give you their best guess). Marriage was ordained by God making Him(God) the only one who can give us the most practicable instruction/ guide on how it works. In the book of Genesis 1 vs 27, Bible says ” So God created man in His own image and He created them male and Female ” at this point man was perfect and has all it takes to provide for the house without failing in anyway. But in Genesis 2 vs 21, God caused Adam to sleep and Eve was removed, so Adam can be helped. Adam became “imperfect” and can no longer provide all that is required to run a home. Some of the things needed were deposited with the woman, while others remained with the man. We carry different grace to function in the marriage! God himself decided to make some women more comfortable financially than their husbands ( not because the man is Lazy). Will it not be unfair on God’s part, if He is asking a man to provide what was not given to him? Little wonder He(God) said both the man and the woman shall become one and must operate as one in all their dealings. Man can cook, if he is better than his wife in that aspect, woman can provide the bread( if financially better than the man). Let me also point out this fact that irrespective of who is doing what, it is wisdom for the couple to know they are actually an instrument in God’s hand to build a happy home. The provider of the bread is God and may choose whosoever He pleases to provide through. Come to think of it, all that Adam and Eve needed to survive was provided by God( the breadwinner), He only ask Adam to take charge on what to be touched and what not to be touched (Leadership). Most will quote 1 Timothy 5 vs 8 here saying ‘Any man who cannot provide for his House is worst than an unbeliever’. What Bible expects a man to provide here is Leadership (1 Corinthians 11 vs 3-5) God expects you to Lead the family not only by word of mouth or backing orders but by examples in action and devotion to making your home a happy one. Live as one and never allow the society to rule your home. Embrace the role you find yourself within the capacity God has given you. Don’t exploit your partner’s weakness, rather compensate, complete and complement your partner by all means possible. You are one, live as such and build a home that everyone in the family wants to come back to. Mobile technology has found its way into the lifestyle of the modern day man. It is difficult to spend a day without using a mobile phone. Either as an alarm, to make calls, transact online businesses or to create and review memories, mobile phones will always come handy, anytime of the day. These phones run on software which coordinates their actions. The software is called an operating system. The model and internal specifications of the phone determines the operating system mounted on it. It could be JAVA, iOS, Android or Windows. However the operating system, with which a mobile phone operates, runs programs called applications (users prefer to call them apps). These apps make the phones interesting to its users. A lady gets into a romantic relationship this minute and the next thing we know, it’s all her brain can think about! She’s at his beck and call. She becomes his baby, girl, wife, cook, cleaner and even his nurse. She does everything a woman can do for a man…and she’s still at the level of a relationship. Then, she starts complaining, “we are not advancing!”, “he has not proposed”, “I don’t think he’s even thinking about marriage yet”. Please, why should he? Why pay for what I have had for free?, Why would I pay for an application when I can access all its features in its free version??? The lady does not know that some of those actions should only be given after the “premium version” has been purchased. A guy has a girlfriend and automatically assumes the role of her father, what else is he keeping to show after the “full-version” is purchased? Nothing! Most people (men and ladies) give it all at the ‘free version’ stage, this is the reason lots of relationships remain stagnant and why some other partners eventually break up when there’s nothing to look forward to, after a long courtship. Like the app, If you give it all at the “free version” stage, of course, hardly will anyone need to have the priced version. We youths, especially ladies should learn to put value on ourselves. 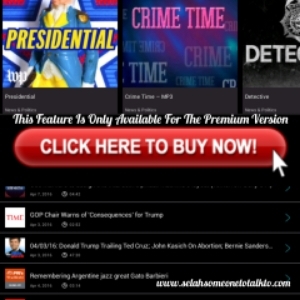 And if you have been giving everything at the free version level, it is not too late to say, ” dear, trial version has expired please purchase the full version to continue use!”. It is your life and you have to be in control. “Worthless” people are not treated with care because there is nothing to lose if you lose them. The way you present yourself is often the way you will be accepted. It is hard to make people pay for what they have been enjoying for free. 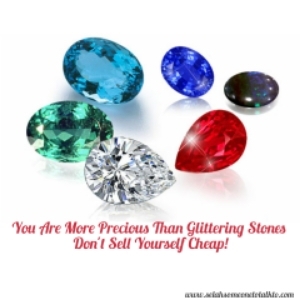 You are more precious than glittering stones you guard so jealously, so if you agree with me, then you will understand that you are the most precious asset you have; don’t sell yourself cheap! Most likely, one day when my device storage is overloaded, I would delete the application because it’s no longer of any importance since I never paid to get it, but the lessons will remain with me forever as I hope with you too.